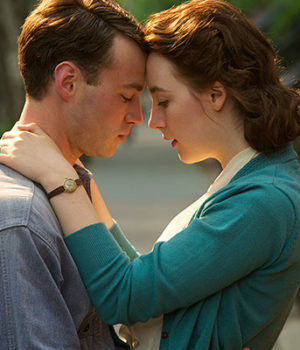 Brooklyn movie still. Courtesy of Mongrel Media. Photo by Kerry Brown. (February 4, 2016 – Toronto, ON) This may get a little confusing given the fact that just two days ago we reported that the animated feature Snowtime! would receive the Golden Screen Award as the Canadian film that had the biggest box in 2015. Today comes the news that the Ireland-Canada co-pro Brooklyn has laid claim to being the highest grossing film with a take of $4 million at the Canadian box office, so far. Snowtime! earned $3,359,425 nationwide in 2015. So what gives? It all depends on how you look at the calendar. The Academy of Canadian Cinema and Television, which runs the Canadian Screen Awards, measures box office returns within the confines of a strict calendar year. From January 1st to December 31st and within those rules Snowtime! is the winner. Brooklyn’s returns are being measured from the day it opened until the most recent information, beginning with its initial release on November 20th in just two theatres, one in Toronto and one in Vancouver. 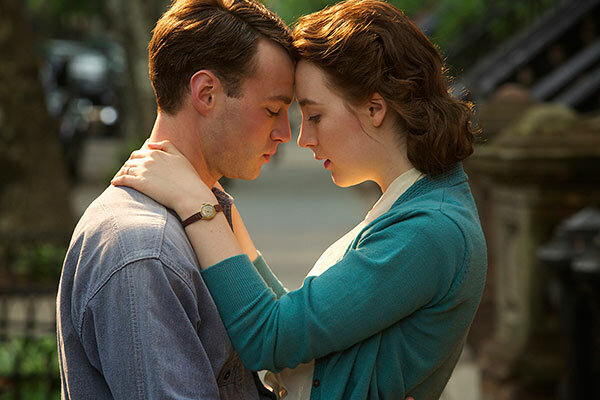 Today Brooklyn is on 122 screens across the country and has earned three Oscar nominations, including Best Picture, Best Actress (Saoirse Ronan) and Best Adapted Screenplay for Nick Hornby. “We are thrilled to see a Canadian film achieve such remarkable success. Canadian audiences have fallen madly in love with Saoirse Ronan’s character because she represents so many of us who have immigrated to Canada. The film lovingly captures the pull of the home left behind and the prospects of a bright future in a new country,” said Hussain Amarshi, President of Canadian distributor Mongrel Media. 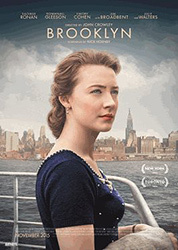 In fact audiences are still flocking to see this film about a young Irish woman (Saoirse Ronan) who is torn between two countries and two men (Emory Cohen and Domhnall Gleeson) when she moves from a small town in Ireland to Brooklyn in the 1950s. The film was partially shot in Montreal, standing in for Brooklyn. “The tremendous work of the Montreal crew paid off and we are excited that Canadian audiences have embraced the film. It’s a privilege to be part of such a great film,” added Pierre Even and Marie-Claude Poulin from Canadian co-producer, Item 7. The film was also partially shot in Enniscorthy, Ireland (close to where Ronan grew up). The film is directed by Ireland’s John Crowley (Boy A) and adapted by Nick Hornby (An Education) from Colin Tóibín’s bestseller. Also starring are Jim Broadbent, Julie Walters and a small handful of Canadian actors including Jessica Paré. The film was produced by Finola Dwyer and Amanda Posey, and co-produced by Montreal’s Even and Poulin. Brooklyn had its world premiere at the 2016 Sundance Film Festival, where it was picked up by Fox Searchlight for U.S. distribution. Mongrel Media had previously acquired the film at the script stage.